INDIANAPOLIS, IND. (November 28, 2018) — Klipsch®, a tech-driven audio company is pleased to announce that its next generation Heritage Wireless table-top speaker The Three with the Google Assistant built in is now available. The Three with the Google Assistant built in blends nostalgic mid-century modern design, award-winning acoustics, and robust connectivity with the addition of a personal, helpful digital assistant. Klipsch speaker The Three with the Google Assistant built in is designed to make daily tasks faster and easier. Functionality includes: the ability to ask questions and get information, stream music, hear the news, weather and traffic, add to shopping list, control smart home devices, make a phone call, and much more. The Three with the Google Assistant built in features a genuine walnut veneer cabinet with a heather gray grille cloth. The unique design and powerful sound of The Three with the Google Assistant will remain consistent with the standard edition of the speaker. The award-winning Klipsch Heritage Wireless speaker The Three is a powerful stereo tabletop with an integrated subwoofer for enhanced bass. 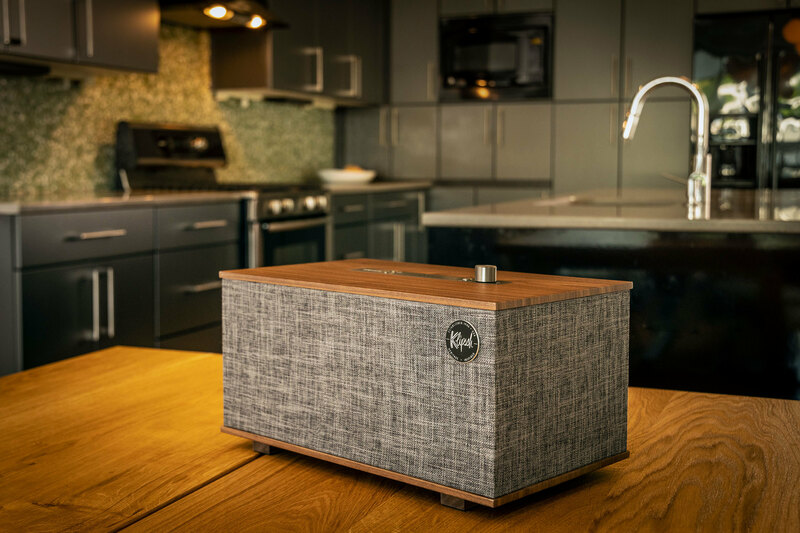 The speaker incorporates a mid-century modern design, premium materials such as real wood veneer, and aluminum switches and knobs, and Bluetooth® wireless technology. Klipsch Heritage Wireless speaker The Three with the Google Assistant built in (US MSRP $499) is available now at authorized retailers and at Klipsch.com. For more information, visit Klipsch.com. Klipsch is a trademark of Klipsch Group, Inc., registered in the U.S. and other countries. Google Assistant is a trademark of Google Inc. The Bluetooth® word mark is a registered trademark owned by Bluetooth SIG, Inc. and any use of such mark by Klipsch Group, Inc. is under license.